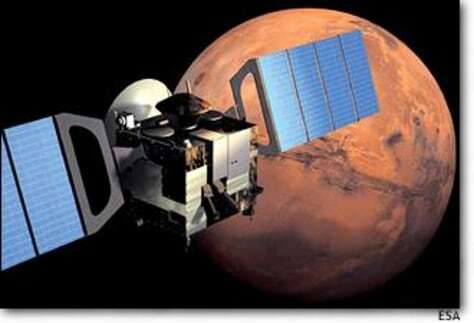 An artist's conception of Mars Express at the Red Planet. The mission is among the fastest and cheapest by the European Space Agency. It will search for water and evidence of life on Mars.